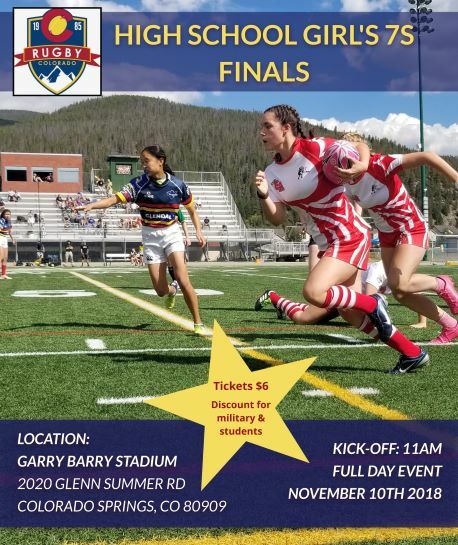 This Saturday, July 25, Denver Barbarians will host the terminal leg of the Frontier 7s Qualifying Series at Cook Park, with trips to Des Moines and the USA Rugby National 7s Championship Tourney on the weekend of August 8/9 at stake. Top two teams go on. After the initial two rounds of play, Denver 7s (June 27) and Heartland 7s (July 11), Kansas City Blues Elite sit at the head of the table with the Barbos on their right and Glendale Raptors on the left side of that ordering seat. The Elites topped the table in their Heartland 7s competition and finished runners-up to Denver in the D-7s at the end of June, so they have accumulated the greatest amount of table points thus far. Barbarians won the D-7s and showed third at Heartland a fortnight (or so) ago, so they’re directly on the Blues hind; and Glendale showed third at D-7s and placed at Heartland. Each team can advance from the upcoming weekend’s fast rugby action, though Glendale have the most difficult row to hoe for they must win-out Saturday, ideally over KC in the final, in order to berth a spot in Iowa at the August Nationals. Regards those three sides, KC has a first (Heartland 7s) and a second (D-7s). If they make the finals on Saturday, no matter if they win or lose, they’re at Nationals; Barbarians make the final, and if their opponent is KC, both clubs move on to Des Moines; Glendale must win the tourney in order to have a shot at further 7s rugby play this season. If the Raptors win, Barbos take and KC shows, then each will have a 1st, 2nd, and 3rd placements in the tri-tournaments and qualification will be determined by statistical renditions: trys, cumulative point totals, etc. The seven-a-side spectacle starts early Saturday and will run through mid-afternoonish, so if you’re fortunate enough to find yourself in the area, do not hesitate to come ‘round to “The Cooker” for some of the finest, fastest rugby on offer this Saturday, July 25.